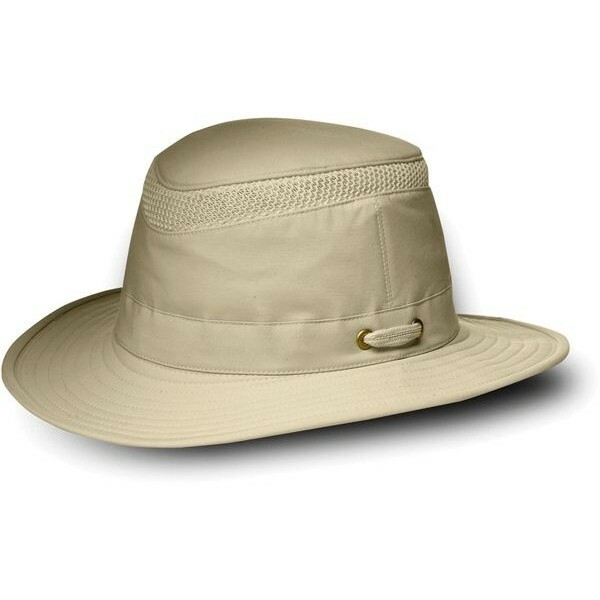 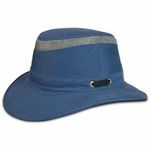 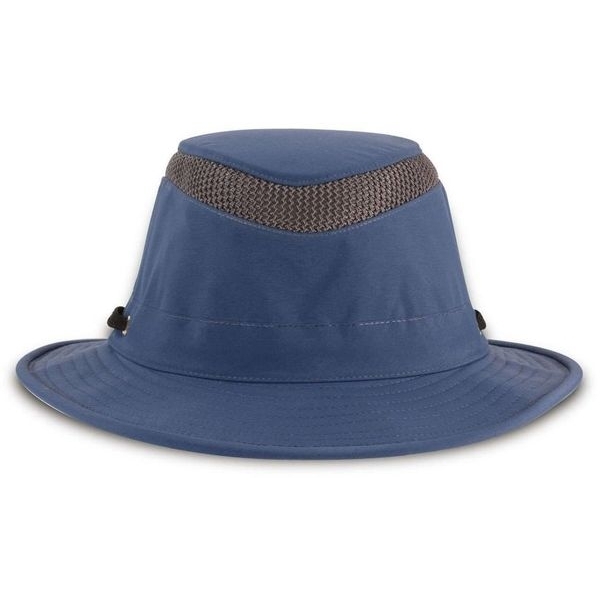 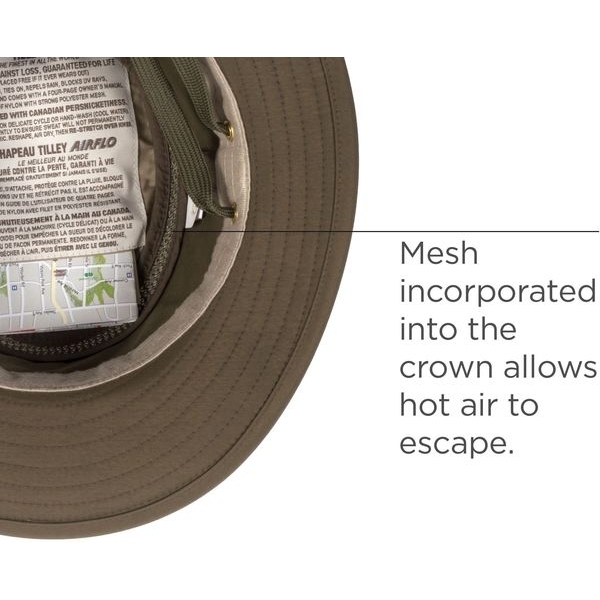 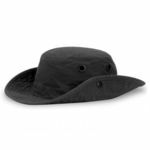 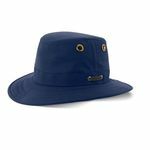 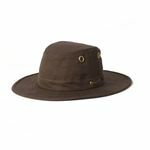 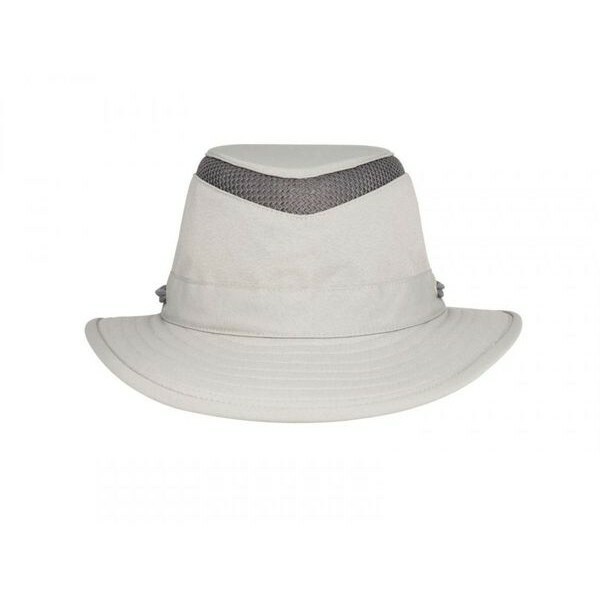 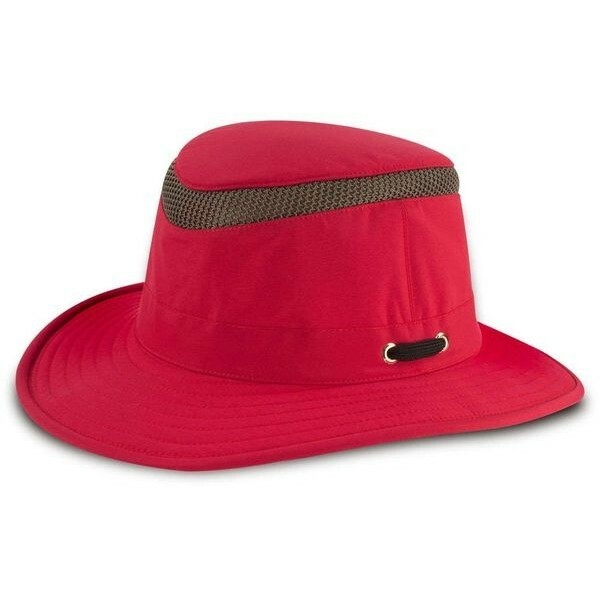 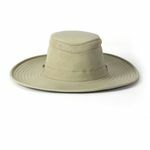 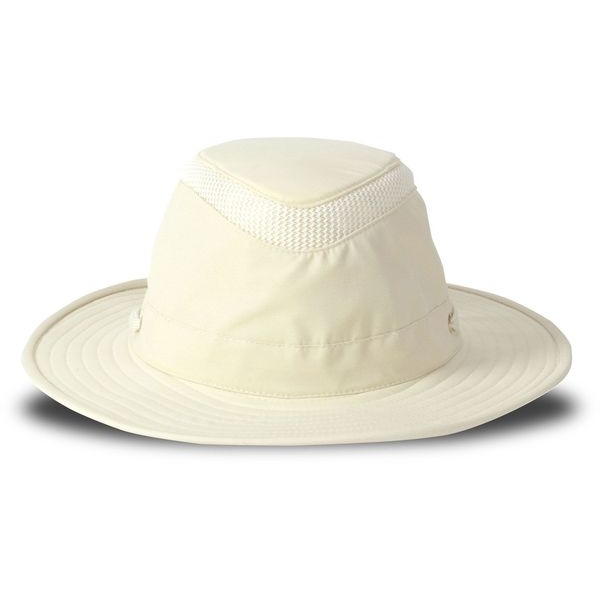 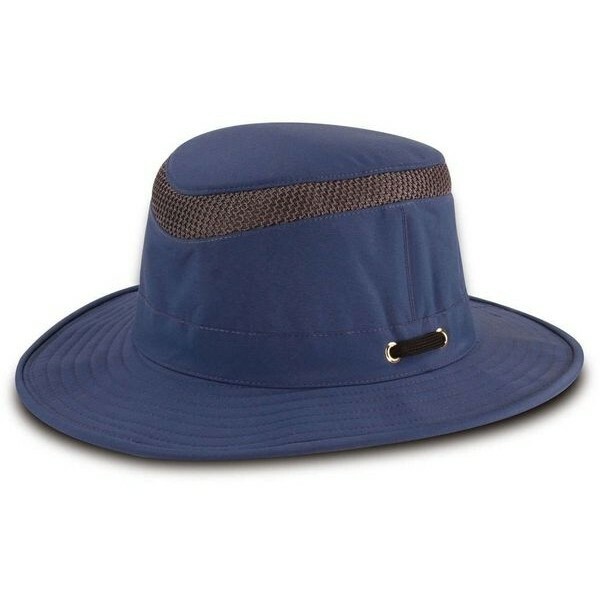 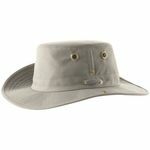 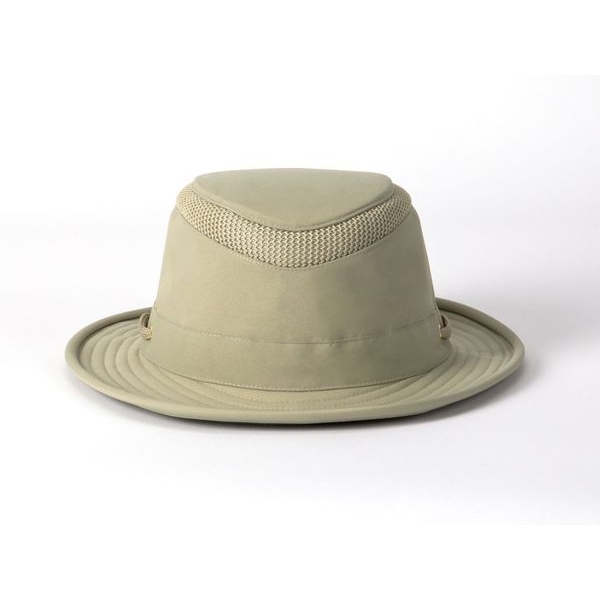 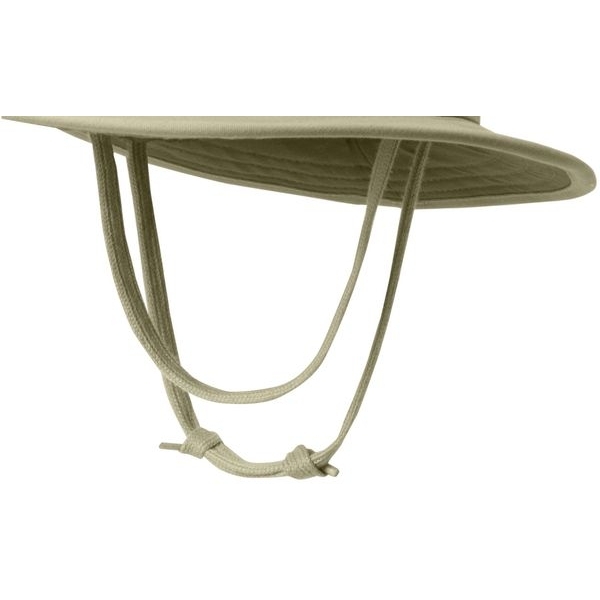 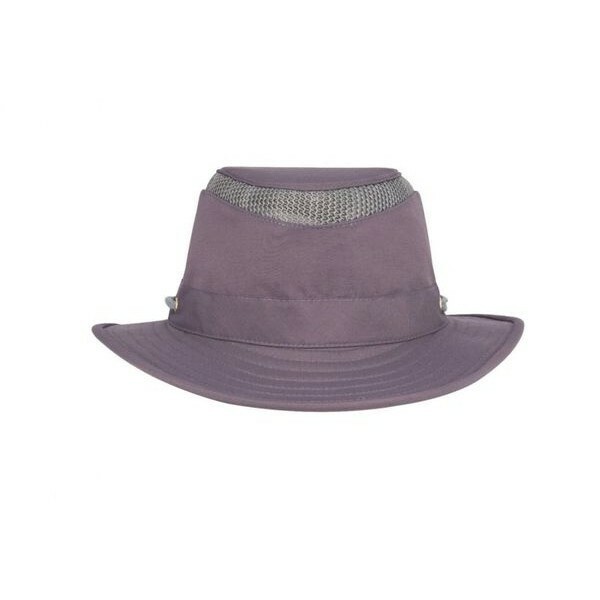 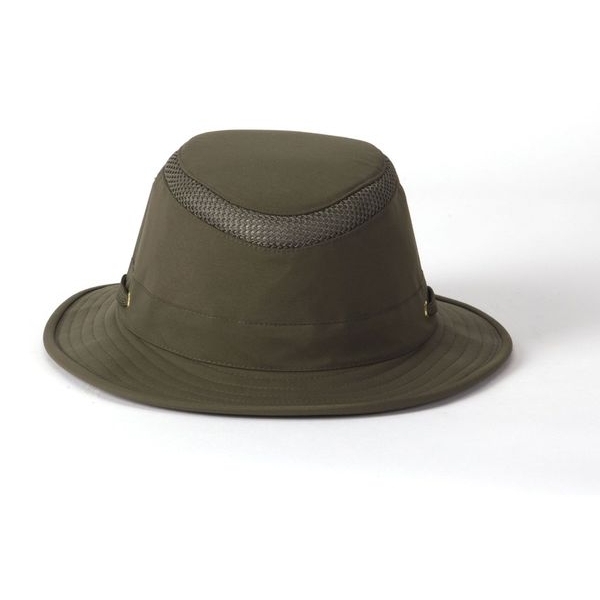 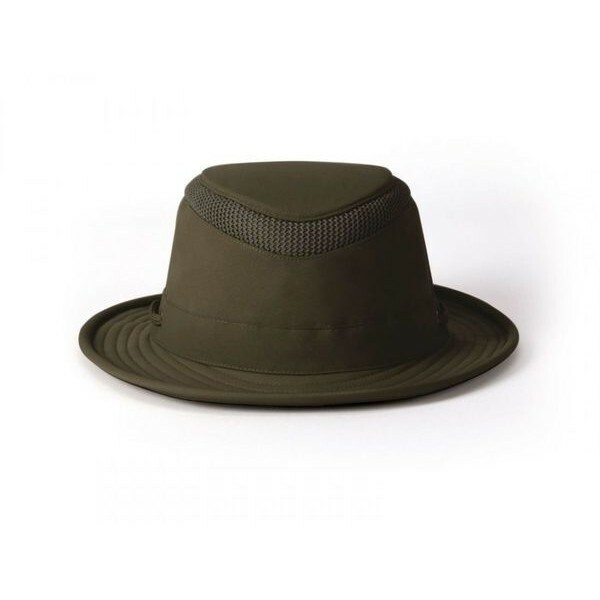 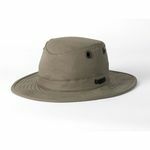 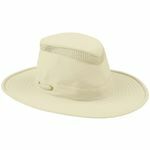 The LTM5 AIRFLO Tilley Hat is designed with a medium brim and polyester mesh in the crown for coolness and comfort during hot days and strenuous activities. 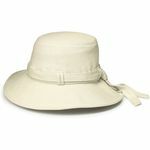 Made with Tilley Nylamtium, a strong water-and-mildew resistant form of lightweight nylon. 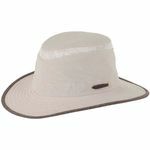 Brim size: Front: 2 5/8" Back: 2 3/4" Sides: 2 1/8"
My daughter bought my husband one of these hats about 12 years ago. 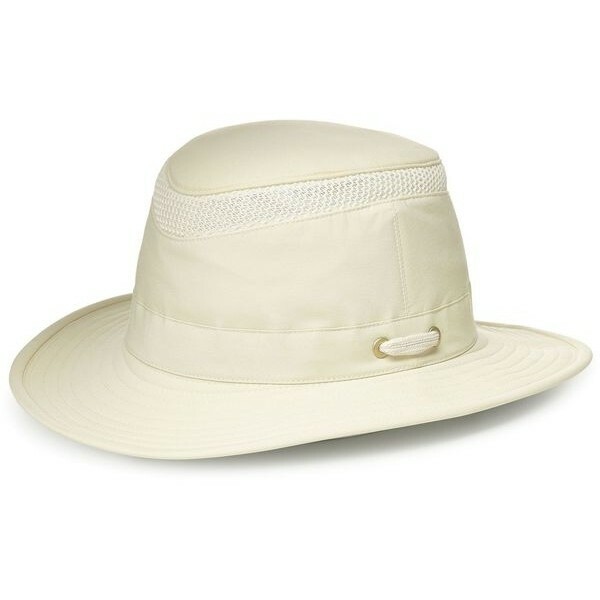 It is still going strong through all sorts of weathers. 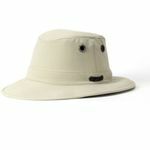 It washes and dries easily. 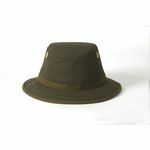 I am about to purchase him another one in a different colour so that he can ring the changes.